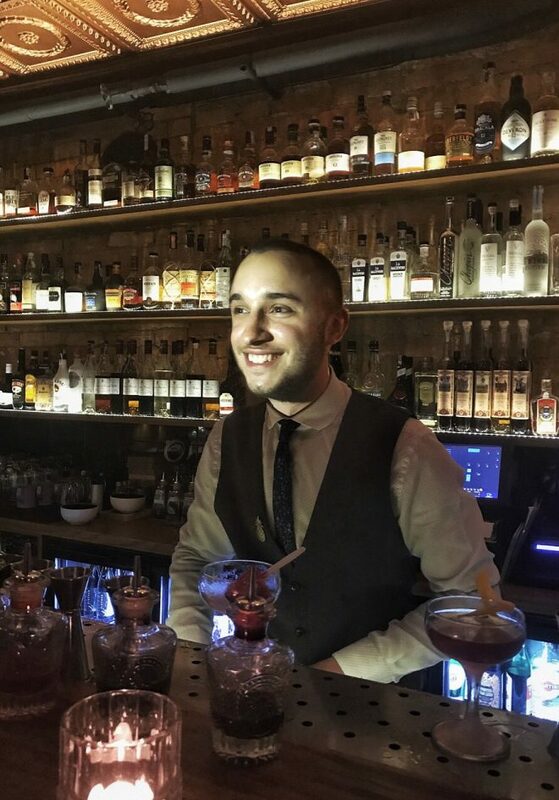 I began bartending in a pub three years ago, until a friend introduced me to cocktail bars… and that was it for me. I fell in love and I’ve been working in cocktail bars ever since. Every spare moment I have I study classic cocktail books and recipes and learn from the best in Warsaw. I have been working at Woda Ognista for nearly a year now and I love it. I’d definitely open a tiki bar with a classic Polynesian feel in California or the Caribbean. It would be on the beach and hold around 30 people. I want a bar that’s all about the drinks, 70’s soul music and having fun. In the bar industry we need to find time to look after ourselves. Unfortunately I don’t get a lot of free time, but when I do I tend to swim or cycle. Most of the classic cocktails I like use gin, so I’d have to say gin. I really enjoy using The Botanist and Sipsmith at the moment. I think what matters the most is balance of flavours. Actually I like vermouth as it is an ingredient I use in most of my drinks, I especially like Punt es Mes. Go to interview Jakub Sokołowski at Charlie, in Warsaw. Adrian Szpadzik from Brush Barber Shop in Łódź. And of course Emil Oponowicz from Woda Ognista.